The attorneys at the Kansas City personal injury law firm of M. Blake Heath, Trial Attorney LLC are ready to help you get what you deserve. We are a small, client-centered firm able to handle even the most complicated and sophisticated cases, including semi truck accidents, catastrophic personal injury, and insurance bad faith litigation. We approach each case with the diligence and determination it takes to get the best recovery for our clients. It has earned us the respect of our peers and tremendous results for our clients. 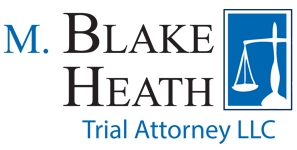 If you have been seriously injured because of the negligence of another, use the form below to contact the experienced Kansas City personal injury attorneys at M. Blake Heath, Trial Attorney LLC for a free case evaluation.